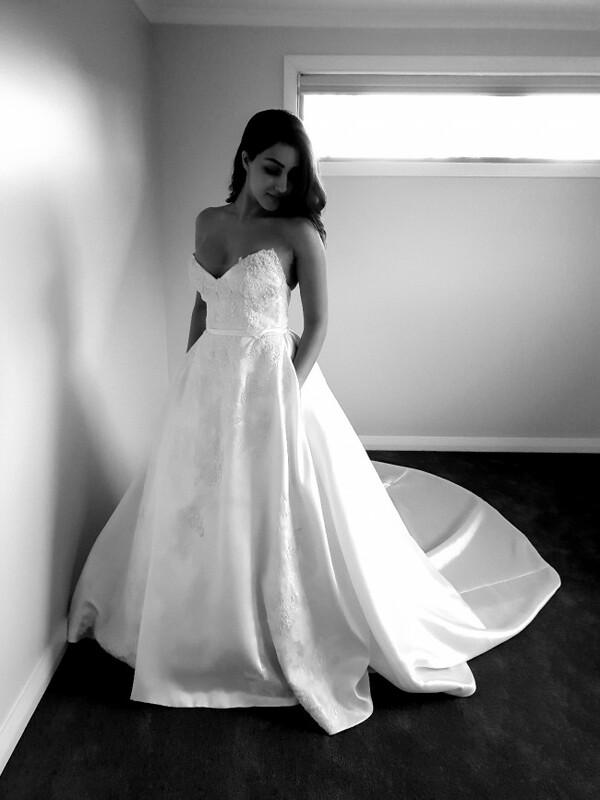 A stunning Pronovias piece from a recent collection purchased at the one and only Brides by Francesca. If you want to look like a modern bride on your big day but don't want to spend a fortune, this one is for you. I purchased 2 dresses and ended up wearing the other one (also being sold on this platform). The modern edgy v-neck is incredibly comfortable and won't move due to the lace alteration added for extra hold. I am a cup size C-D and it fits like a glove. The dress is made of mikado silk; a top with an edgy v-neck detail that leads to a contemporary style point, and a skirt with gorgeous dainty lace detail scattered throughout. Not to forget the dress also has 2 hidden pockets which act as a stunning function detail so you can have your phone, a tissue and lip products at hand at all times on your big day!